Business Consultant Jeremy Gula has been in the advisory business over 25 years. He has held senior positions in national and international firms of accountants gaining experience at firms such as Baker Tilly, Robson Rhodes, Arthur Young (now Ernst Young) and Tenon. “Most “professional” work experience and education is centred around purely accounting functions and information (sometimes just based on 12 months results!) but business investors have to equally use other knowledge and skills which cant always be measured. It is very common for advisers to write off businesses that do not perform to certain financial standards but the secret is to find a workable solution and that is where my passion lies”. In the late 1990s, whilst running these other successful personal businesses, he decided to develop a specialist independant business advisory firm. 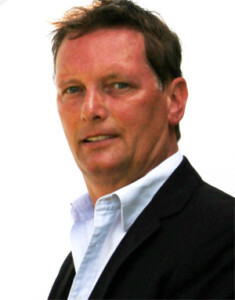 Jeremy was a senior partner of the firm which started with just one office. Within 10 years the firm developed seven very successful offices with over 65 staff and became one of the leading independent advisory businesses in the region. The firm was then sold to a national firm. Negotiating a successful sale to such a large organisation would generally be an intimidating experience for anyone, however, Jeremy’s experience put him in the driving seat to make sure he got the very best deal with water-tight protection during a lengthy earnout. Many professional contacts know the pressures he underwent to get the deal he wanted and now he likes to help businesses and individuals do the same. Jeremy now does what he likes best, advising SME businesses on a personal basis and providing a professional innovative service at an affordable price. Jeremy enjoys a challenge and when a business is facing stategic issues he is keen to get involved himself or use his wealth of specialist contacts to help resolve problems. He will not profess to have an answer to everything but he is confident he will know someone who can provide one….and that is what we are all about, TEAMWORK! Our consultancy utilises virtual office facilities which mean less overheads and greater value for clients. We endeavour to utilise electronic communications as much as possible thus avoiding unnecessary cost and delays. We support Guide Dogs, a charity which trains and support guide dogs for visually impaired people of all ages. 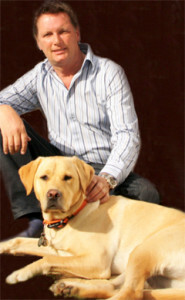 Jeremy is a trained volunteer for the charity and is a guide dog boarder. This involves temporarily looking after guide dogs when the need arises. 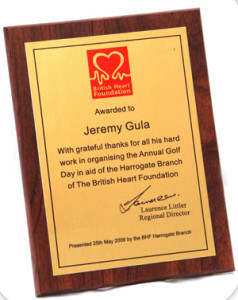 If we provide any advice or consultations free of charge we ask that clients make a donation to this charity.